Have you ever stopped to think how different your farming activities would be if you raised your own nightcrawlers? You would never have to worry about thatch or weak plants any more. 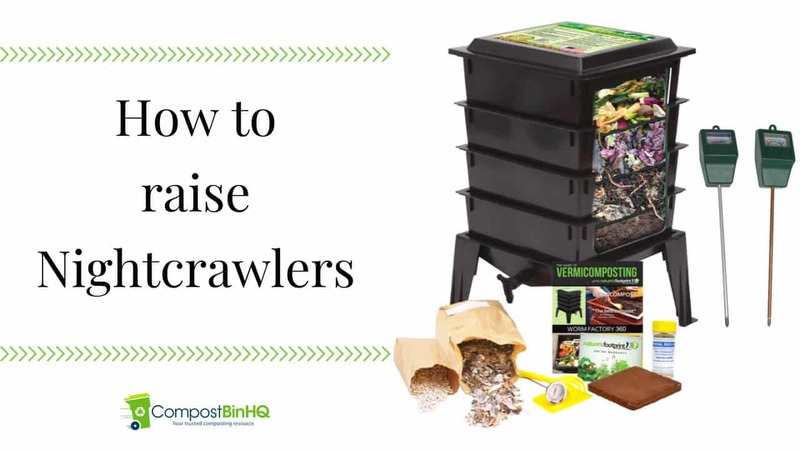 Even better, you wouldn’t have to buy nightcrawlers as long as you have your compost! If you’ve been wondering how to raise nightcrawlers and produce your own worm castings, then you’re in the right place. Here is an in-depth article on how to do just that. They are a natural fertilizer- they break down organic matter that can be used by plants. Before you decide to bring in your new borders, it is important to understand that nightcrawlers require specific environmental conditions to thrive. Consider the temperature regulation, the number of worms and nightcrawlers you intend to house, as well as clean, fresh air. Let’s take a look at the examples of nightcrawlers’ homes you could consider. Measuring at 13.3x 7x 10.8 inches, Frabill Habitat II form is big enough to hold up to 8 dozen nightcrawlers. This may seem much, but when composting, it isn’t. The1020 habitat II worm box comes with super-gro bedding, an earth friendly, easy-to clean, and biodegradable food source. The Worm box features plastic aeration vents that allow free-flow of air and has an insulation foam made to maintain a cool temperature at all times. Frabill’s Habitat foam worm box weighs at only 2.55 pounds, making it easy to move around should you need to. This is ideal for basic gardeners. Note however that you cannot use this worm-box for composting, so you may have to prepare a separate compost pit. Frabill’s worm box is ideal for raising your nightcrawlers. You only need to get a tight lid for them to keep intact. If you intend to recycle kitchen scraps and use up paper waste to make some compost, then the 13.65 pound Worm Factory 360 composting bin is just the kit for you. You can do this and get to raise even more nightcrawlers. The Worm Factory 360 perhaps the largest home composter on the market today. It features 4 trays that can be expanded to provide double its capacity. This kit comes with a PH meter, a thermometer and a moisture meter. Rather than guess, these allow you to correctly regulate the environment of your worm farm. With these, you can be sure your worms are getting the right breeding environment. The Worm factory has a redesigned lid that can also be used as a stand during the harvesting of your compost. The built-in ‘worm-tea’ collector and spigot collector might also impress you as it makes draining a lot easier. The included instruction manual offers a step-by-step guide to help you manage your kit. Gardeners and farmers alike can use this kit both to make compost and bait. This is an ideal product especially for beginners as it’s easy to set up and comes with an instruction manual. A composting bed is one of the essential requirements of raising nightcrawlers and worms. Worms need these to effectively run the decaying plants and food remains through their digestive systems. 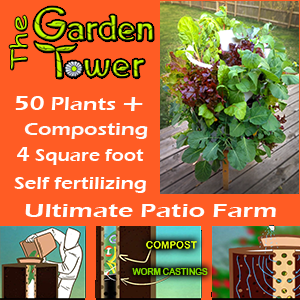 This results in nutrient-rich excretions that you can use to benefit the soil in your garden. Compost material like non-animal food scraps, grass clippings, pet beddings etc. Once you have these layered up, add a little water and stir them up, careful to only make the mix moist, not soggy. Also take note to prepare the bedding in the absence of its new hosts. Remember to add more compost to your layer every once in a while to replenish your little critters. If you’re not up to making your own compost, you can buy it ready and still harvest nutrient-filled compost for your garden. Let us look at some of the products you could consider. Weighing at 4.6 pounds is the earth friendly 100 % biodegradable Frabill Super-Gro Worm Bedding. Conveniently packed, the 1104 Supper-Gro bedding has a built in source, is clean and odorless. You can mix it with non-chlorinated water to make your compost. Beginners will find this a great way to start raising their worms and can use it for years. Super-Gro is a paper product made of newspaper and best suited for earthworms. Magic products Buss offers a 5 pound worm bedding that provides a complete habitat for your nightcrawlers and worms. Like Super-Gro, this is also made of newspaper and is a clean, easy-to use product. You can use Magic Products Buss when preparing a bedding to use for the first time. This simply means your worms will adapt to its environment the same way a beginner will find it easy to use. As we discussed earlier, your worms’ nutrition determined the level of nutrients they will expel. That is not all. Better nutrition will make your worms multiply faster, and grow healthy. For this reason, it is important that you improve the value of your nightcrawler’s meals. You can choose to use scrapes as meals for your worms. Alternatively, you can choose to buy ready meals and save yourself the trouble. Let’s take a look at two example of meals you can consider feeding your worms. Unlike the Frabill Fat and Sassy, the Castaways Organics worm feed offers a professionally balanced blend of added vitamins, oats, minerals, alfalfa and corn. This makes this product a great supplement for the nutrients that your worms and your vermicomposting system do not get from the food scraps you feed them. Feeding your worms Castaway Organics will not only make your worms healthy, your garden will immensely benefit too. The use of this product will aid in raising and breeding of composting worms. It will also ensure the pH level is maintained in the bedding. Castaway worm feed will turn your otherwise normal nightcrawlers into bigger and healthier active worms. You can use the Castaway Organics with any worm species, be it the European nightcrawlers, Red Wigglers or the African nightcrawlers among others. Weighing in at 0.8 ounces, Frabill Fat and Sassy is loaded with essential nutrients that will boost your worms’ vitality. Tested and approved by producers of live bait, they come with a re-sealable 8 oz measuring cup that you can use to rightfully measure and regulate your worms’ feedings. Nightcrawlers can be easily found as they live near the surface of the earth. You can get quick access if you particularly have a garden or live near a moist, damp or swampy area. While these may count for a number of worms, you will have to do more than dig around for them to keep a constant supply of healthy and active critters around. One way of increasing your worm supply is by purchasing them. This might seem like a workable idea, but in the long run, raising them is better, Not only will they save your lots to purchase them, the convenience of having as much as you need, when you need it makes it all a worthy cause. Raising the worms is quite simple, you only need to create a conducive habitat and supply constant food for them to breed. Visit a shop that sells them. It may get more difficult when you want to stock a lot of worms. When this happens, consider purchasing fresh ones. Not only will you get many all at once. It will also be easy for the worms to adapt to the new environment altogether. Let’s take a look at some of the warms you could purchase. Armed with a 40-year reputation for quality farm products, Uncle Jim offers live and healthy insect-free wriggling crawlers. They are particularly good if you intend to have a compost habitat for them. Not only will the worms thrive, they will also greatly improve the physical structure of your soil as well as improve their root stricture and crop speed. The package is well sealed and insect-free, giving farmers a good head start to healthy long-life compost farming. Naturally recommended, red worms are a great form of garbage disposal if you are looking into raising worms for compost purposes. Composting worms come in a pack of 600 live red wriggles, an ideal army that will turn your compost pile into a nutrient manufacturing factory. Thriving in decaying organic material, keep meat off your compost pile and enjoy healthy living of your army of 600 wrigglers. Composting worms guarantee that all their worms arrive alive and ready to munch away into the compost bedding. Worms are stored in dirt in package. Shall we wrap it up? It must be a great relief if you initially thought that rearing worms was an uphill task. Nightcrawlers serve more than one purpose and are undoubtedly a great addition to your gardening or farming essentials. It is important that you understand the thriving environment that the little critters need for survival, bearing in mind to underfeed rather than to overfeed them. Worms may eat a lot, but you will notice that they thrive on decaying plants and waste that you would otherwise have discarded. With an army of rapidly-multiplying worms, you can relax, knowing your wriggly assistants exist and work for the benefit of your farm. If you have been contemplating on whether or not to raise worms, i hope this comprehensive guide will help you to make an informed decision.